We were just leaving a friend's home after a Christmas party. It was one of those crackling-cold, minus-twenty nights we get here in Minnesota. The air was so dense that the airplane 20,000 feet above me sounded like it was on approach for landing. As I walked across the street to warm up the car, the snow squeaked like dry Styrofoam® underfoot. Something odd caught my eye, and I looked up. Just through the bare branches of trees, the street light from the next block cast a distinct, golden beam of light 50 or 60 feet straight up into the sky. That's odd, I thought, the light must be broken…but how could it shine straight up like that? And since when do street lights cast such a distinct beam? It was clear we were witnessing a wondrous, once-in-a-lifetime phenomenon. We later learned that what we'd seen were "light pillars." They're caused by a light source—typically the sun or moon, but occasionally artificial sources too—reflecting off of the horizontal surfaces of tiny ice crystals that fill the atmosphere in extreme cold weather. This experience got me thinking about all the other amazing tricks light plays on us. Here are just a few of the other ones I've experienced or come across through a little research. Maybe you've witnessed some of them for yourself. The result is...a nearly biblical effect...a multi-hued halo of light seeming to emanate from their head. CRESCENT SUN DAPPLING – You know about the pinhole projection method of safely following the progress of a solar eclipse: you make a small hole in a piece of cardboard, hold it out and watch the tiny image of the partial sun projected on the sidewalk below. But have you noticed that the same effect occurs naturally? Most days, the dappled sunlight that seeps through tree foliage actually comprises many overlapping, round pools of light. 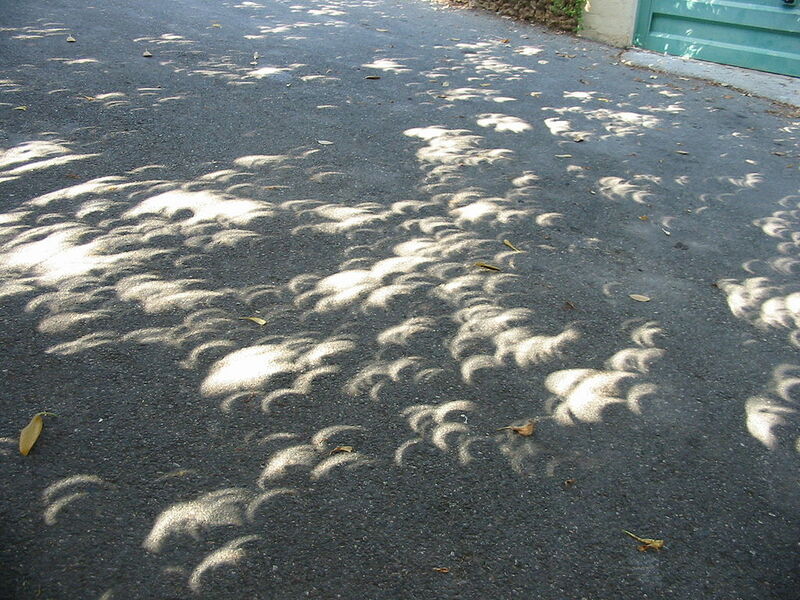 During an eclipse, though, each of those circles turns into a crescent as the moon takes a bigger and bigger bite out of the sun. GLORIES – You've probably seen a halo around the sun or the moon. But have you seen a glory? Again, it's a type of projection; in this case the "screen" is a mass of water droplets—like a cloud or the spray of a waterfall. 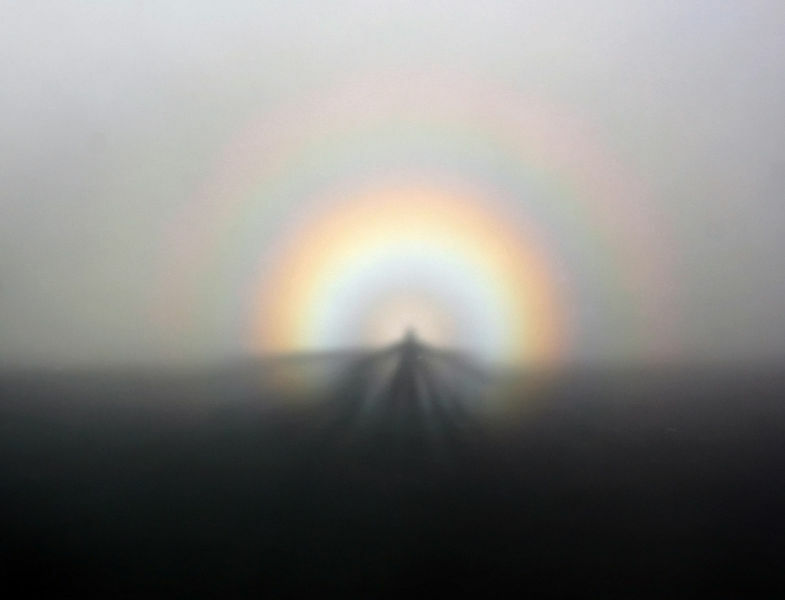 If the observer happens to be standing directly between the sun and those water particles, the result is a Brocken spectre, a nearly biblical effect of the person's shadow, with a multi-hued halo of light seeming to emanate from their head. THE GREEN FLASH – Of all the beach sunsets I've experienced, I've never once witnessed the mythical green flash that's rumored to occur at the instant the sun disappears into the sea horizon. I thought it was one of those things where your odds of seeing it improved with the number of tequilas you'd consumed. Turns out the green flash is a real phenomenon. Apparently the optical mechanism is similar to that of a prism. Since shorter wavelength light (the greens and blues) bends more than longer wavelength light (reds and oranges), the blue-green rays of the top edge of the setting sun stay visible slightly longer than the red-orange ones. I'll keep looking…and counting on the tequila to help. HEILIGENSCHEIN – Similar to the Brocken spectre, this "holy glow" occurs when a strong sun shadow is cast onto a surface coated in dew droplets. Each droplet acts as a lens to intensify the brightness and project it onto the surface it rests on. 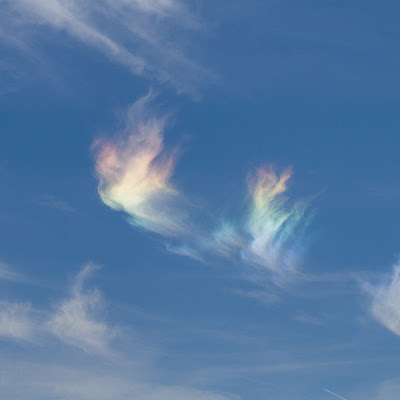 CLOUD IRIDESCENCE – This rare refraction phenomenon occurs when sunlight passes through thin, wispy clouds. That keeps most of the light rays from passing through more than a single water droplet, which refracts the light like a prism. (When the rays encounter thicker clouds, they encounter multiple droplets, and the prism effect gets scattered and diffuse. Because this effect occurs mostly in an area of the sky near the sun, the sun's glare usually consumes it, so it helps if a building, tree or other object blocks one's direct view of the sun. These are just a few of the wonders Nature can paint with light. Others I've enjoyed include sun dogs, northern lights, phosphorescence, alpenglow, mirages and many more. Have you witnessed any of these...or others? I'd love to hear comments! 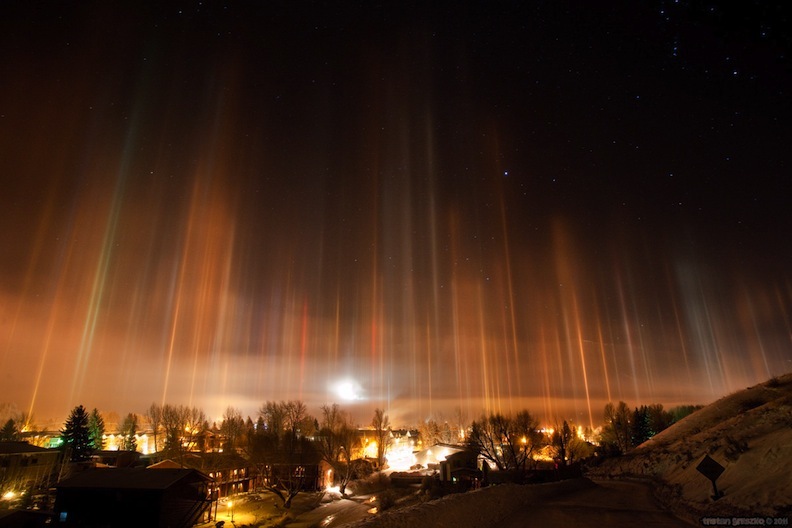 Information in this post not derived from personal experience comes from Wikipedia, as do all photos except Tristan Greszko's wonderful shot of the light pillars. What? No comments yet? This is a great post, so much fun information to fuel one's curiousity! 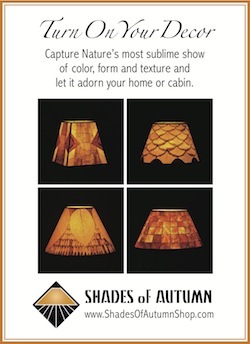 I will share this at my Caliso Learning page on Facebook for other nature lovers to enjoy as well! I've always looked for the green flash--so happy to know it IS real and I will continue to try and catch one :)Thanks for sharing! Hey, Michelle -- welcome to One Man's Wonder! Thanks so much for joining the "conversation." (I put a link on a very active message board for the town I call my second home -- in Mexico -- and got quite a few comments, especially about the green flash. I haven't seen it either, except for some good shots and clips I came across while researching. Thanks too for sharing it on your FB page -- I'll check it out. Really appreciate your interest and support, my friend. I've seen a few of these, including the green flash! And in Mexico, too - I was on a whale-watching cruise in Baja California, and one of our guides alerted us to the perfect conditions for seeing a green flash... and there it was! I had no idea how unusual it was to see one at the time.